A staple in my household for years has been premade bagged salads. Especially, the ones that come with several toppings and delicious dressing all packed up and pre-portioned? Yes, those heavenly goodies. My family used to add protein to them (egg, tuna/salmon, chicken, tofu) and eat them as a meal for lunches, or as sides for dinners. However, as convenient as these guys are, they are not the most environmentally friendly or cost effective, and since we were tired of wasting money and plastic, my mom and I went scavenging through the glorious varieties of bagged salads and found the most common toppings, dressings, and greens to recreate these salads on our own. 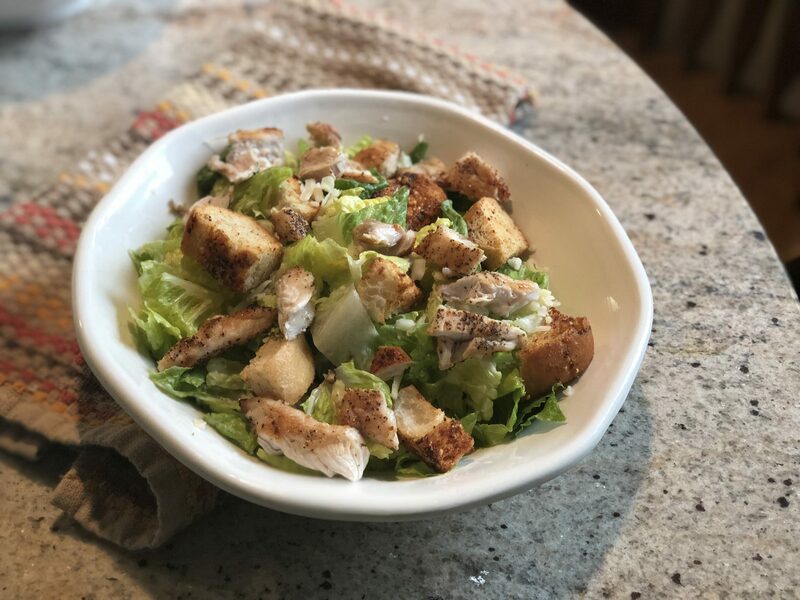 Now, It’s super easy to make these salads on our own and all you need is storage containers to keep the toppings fresh! 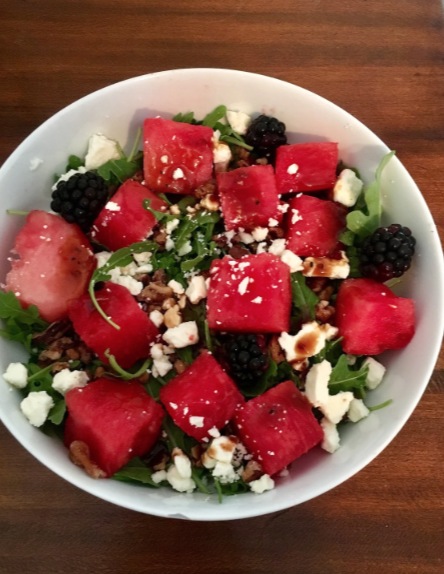 With this in mind, it is easy to customize a salad with the greens you love most. A mix of greens offers the most nutritional value and is what I personally prefer. To mask the greens, I don’t particularly like (not pointing fingers but kale and spinach are not my favorite) I add more of the ones I do like. My personal favorite blend is a base of mainly red and green romaine with spinach, arugula, and Friese. Then, toppings are where it starts to get fun. Personally, I keep all most of the dried ingredients on hand at home and mix different variations of 3-4 of them for each salad. 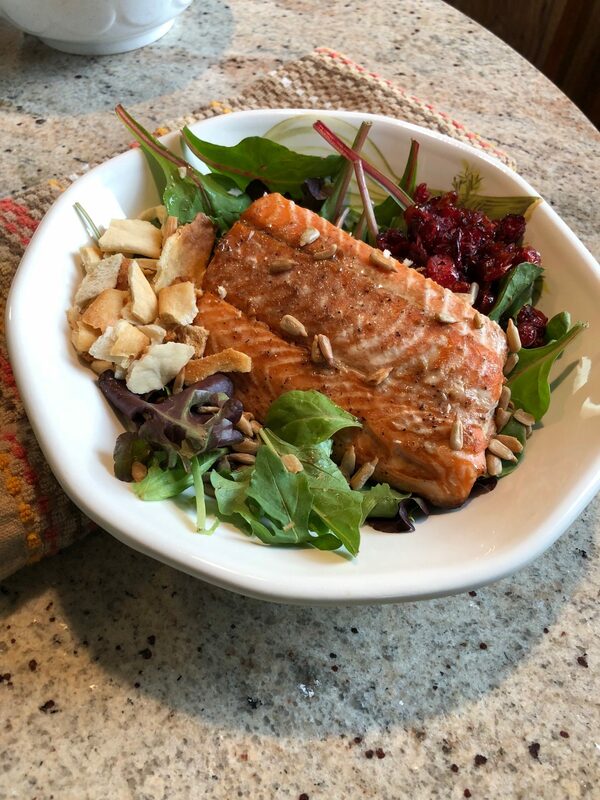 Salad toppings are great because they bring so much flavor and dimension to the salad, while also adding so many additional health benefits. Last, dress that baby up! 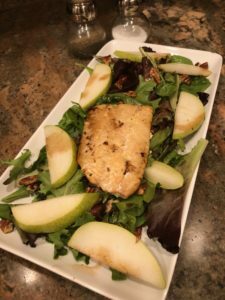 To emphasize on the many delicious salad recipes you can create check out these five tasty recipes below! 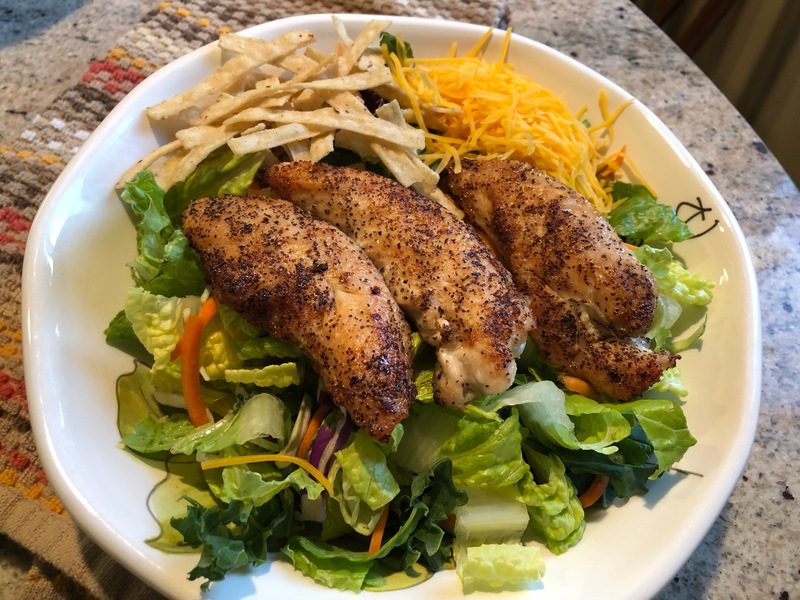 Chicken casear salads are one of the most popular salads to order at restaurants! 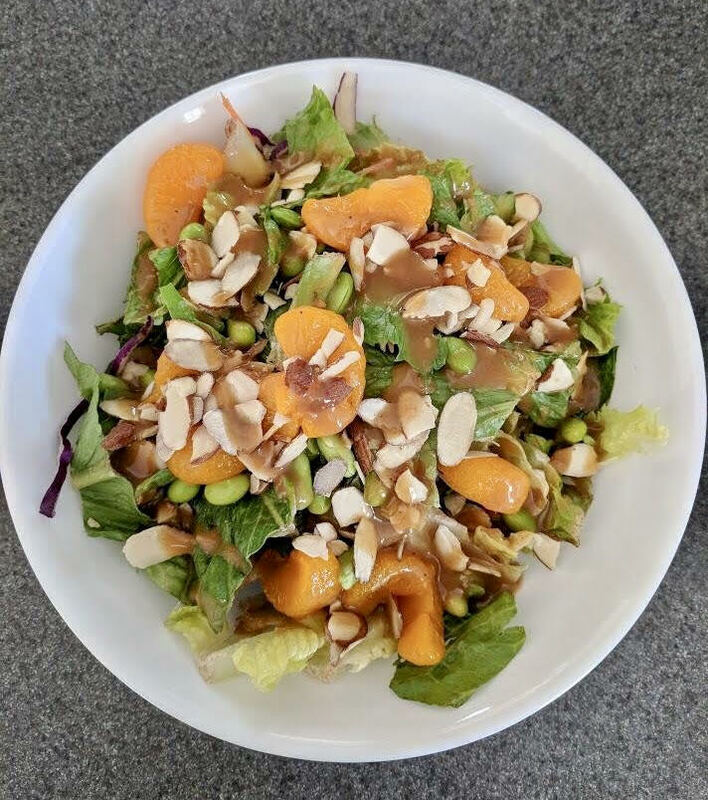 This simple yet tasty salad recipe is perfect for those with diabetes having to watch their blood sugar and carbohydrate intake.